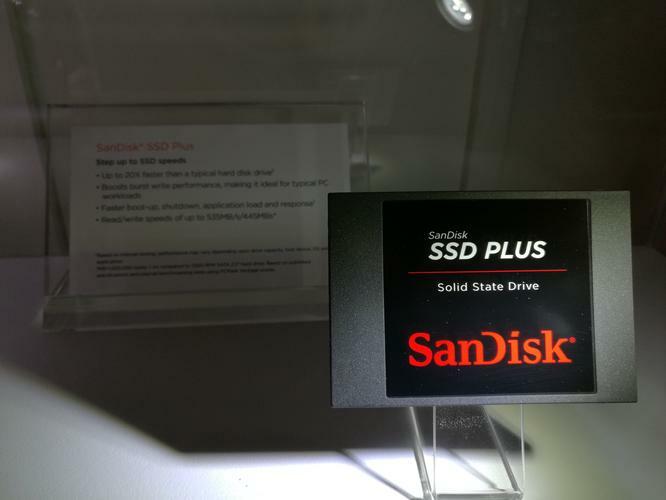 The SSD Plus is the "Belly" of SanDisk's business. 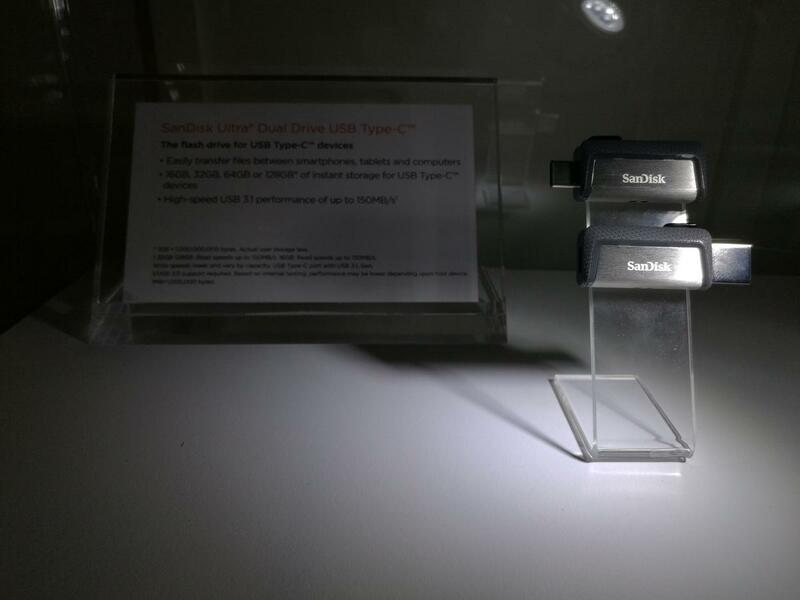 Sandisk announced two main products at Computex but it was the prototype that was exciting. First up was the new Ultra Dual Drive USB Type-C flash drive. This two-ended flash drive has a mini Type-C USB connector at one end and standard Type-A USB connector at the other – the idea being that it can easily be used on desktops and mobile devices alike. 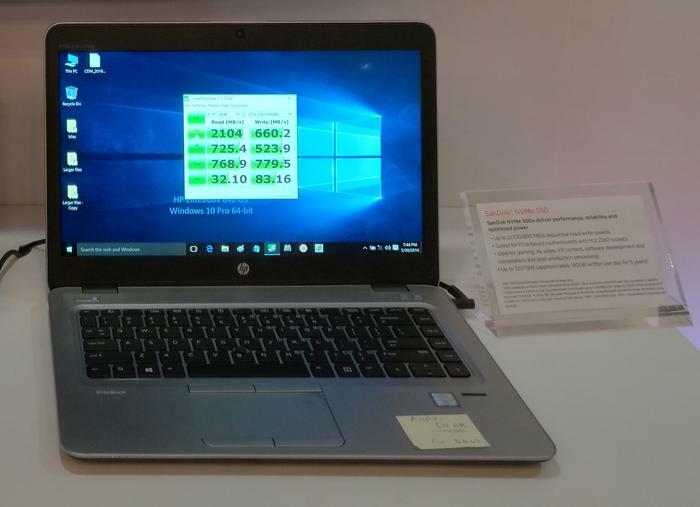 It’s available in 16GB (US$20), 32GB (US$29), 64GB (US$39) or 128GB (US$69) capacities with USB 3.1 read transfer speeds of up to 150MB/s. Write speeds weren't stated. SanDisk's new Ultra Dual Drive USB Type-C flash drive. 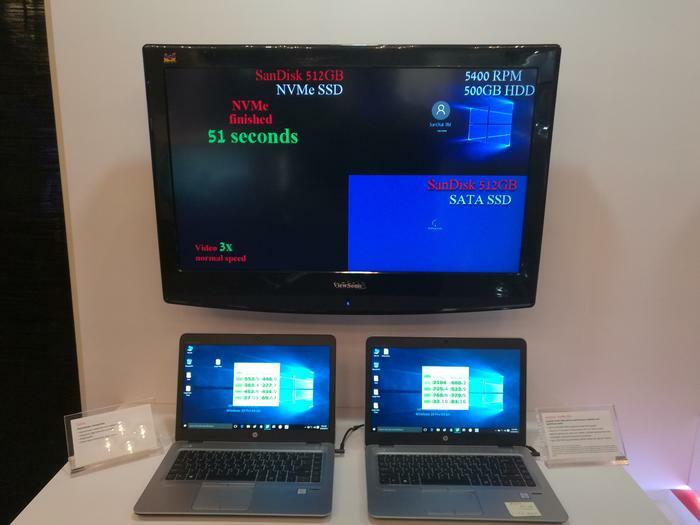 There are still no NVMe products available from Sandisk but we were shown a SanDisk NVMe technology demo with specs. SanDisk ran a speed demo of its new technology. SanDisk maintains that while it’s an exciting technology there aren’t many people buying it yet. PC World’s observations from the rest of Computex suggest these drives are likely to grow rapidly in popularity soon, however, owing to the high levels of motherboard support for them. For now, SanDisk’s SSD Product Manager told us that NVMe drives are worth about 3-4% of the global market in terms of dollars and only 2% of the market in terms of sales. They're in no rush, it seems. SanDisk hasn't released an NVMe drive yet, but here's the performance of a prototype.